Beer passes through a lot of hands on it’s way from the brewery to your glass. Often the middleman in the process, the distributor or wholesaler, is the silent mover of goods. We don’t ever really see them, yet they play such an important role in the process of making sure your favorite beer gets to your favorite bar or shop. Over the past two years in Hawaii we’ve seen an explosion of new breweries distributing to the state and we can thank the work of our local distributors. The distributors are the ones actively working on acquiring new and exciting brands to introduce to the market and then they make sure all of that amazing beer lands safely on the island. 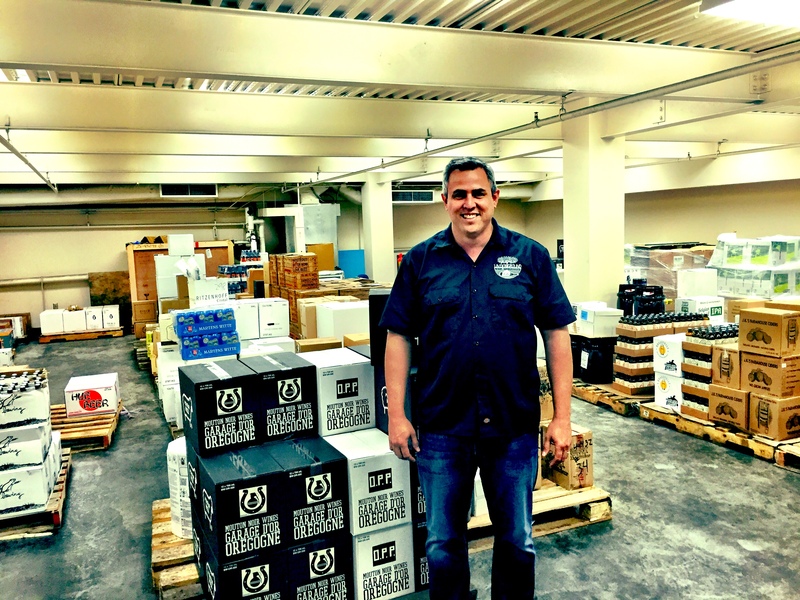 One of the newest players in the distribution game is Underground Wine Merchants (UWM), headed by Jason Hayes. A veteran of the distribution business, Jason decided to strike out on his own about 2 years ago and has quickly built an impressive lineup of amazing breweries. We can thank UWM for the likes of Knee Deep, Heretic and the re-appearance of the Shelton Brothers import portfolio. With three other import portfolios, 12 Percent Imports, Global Beer Network and Artisanal Imports, UWM has loaded the state with an incredible amount of quality breweries from around the globe. With a focus on smaller niche brands, Hayes is able to bring in small quantities and keep the beer as fresh as possible. It’s not unheard of to find Knee Deep bottles that are less than 2 weeks old. It’s with quality brands and beers like this that Hayes has quickly grown the company, though he still basically does everything from ordering to delivering kegs. Brewers are the rock stars, bars/shops are the arenas, but distributors make sure the whole show goes off. Time to catch up with Jason Hayes. I was born in Texas and lived there until we moved to Haleiwa when I was 14. I graduated from Kahuku HS in 1994. I’ve pretty much always been a beer fan. I remember going to a house party on the North Shore in the late nineties and a guy showed up there with a keg that I think he had gotten from Gordon Biersch. It was like no other beer I had tasted before. I had lots of fruity aromas and the alcohol was clearly elevated. It was probably some kind of barley wine. All I remember is that little keg blew pretty quickly. How did you get started working in the distribution business? After one of my failed college attempts I was living in East Texas for a while and started working for A-B there building pallets in the warehouse to be loaded onto the trucks for delivery. Soon thereafter I was riding along as a delivery assistant, and not too long after that they thought it would be a good idea to give me a CDL and put me out delivering my own route driving a tractor trailer. I still don’t believe I did that. From there I moved back to Hawaii where I got a job at A-B as a merchandiser and later a salesman where I worked for five years. After A-B, I went on to work for Southern Wine and Spirits for ten years as a salesman handling Chain Accounts, all the Military bases, and later working with hotels and restaurants. Now I’m back in the warehouse building pallets again. Full circle, I guess. Why did you decided to venture out on your own and start Underground Wine Merchants? I really enjoy the alcohol distribution business too. Other than a few odd jobs as a kid it’s really the only work I’ve ever done. I saw declining sales in Macro wine and beer and the rise in demand for boutique wines and craft beers and an opportunity for a small wholesaler to make a go of it. What do you look for in the breweries that you distribute? Hops! Just kidding. But not really. IPA’s are really driving a bunch of growth in Craft and I want to make sure I have good ones in my portfolio. You’re also big into wine and have a lot of great labels. With thousands of more wineries and wine labels than beer, how do you choose what to bring in? For wine, I see two kinds of customers. There are the few people out there for whom price is irrelevant and the people that are seeking good value. I try to find wines that have good value for my customers that they can pass on to the end consumer. 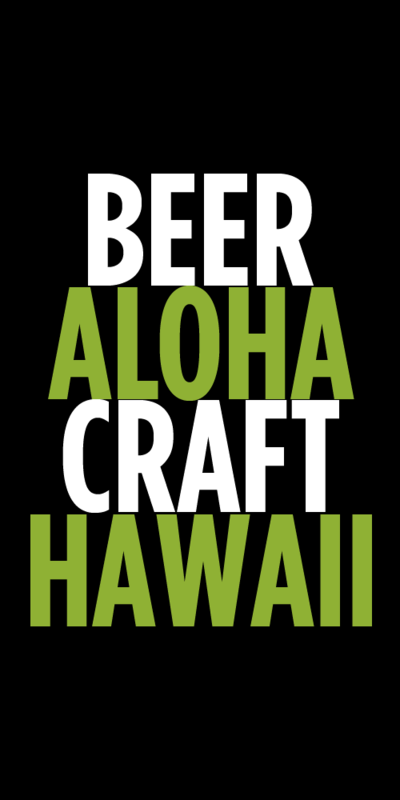 What are some of the biggest challenges in getting breweries to want to distribute to Hawaii? Supply is always the big roadblock. The best breweries simply don’t make enough beer to have it in wide distribution. Shipping costs to Hawaii are also a drag. And sometimes your Mikkeller ends up in Samoa. Don’t ask. Anything new and exciting coming in from your brands? Heretic will be offering their Evil Twin and Evil Cousin in cans soon. I’m pretty jazzed about that. Our beer business model is pretty much all about bringing in new stuff constantly. 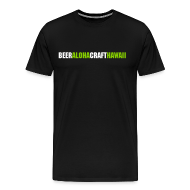 Thanks to Beer in Hawaii for helping us get the word out on all of them. You’ve grown so fast in such a short period of time. What’s next for Underground? We’ve recently been able to get some of our stuff out to Maui and Big Island and we’re excited to be working with a few new customers on the outer islands. Uhhh…Alchemist, Russian River, Dogfish Head, Trappist Westvleteren , Lawson’s Finest Liquids. I love being able to fill this small niche that we are creating for ourselves. I really feel great being able to offer quality products that I’m proud of that really enhance my customers’ businesses. Lately I’ve been going light and refreshing. Off Color Brewing is one of my new favorites. It was founded by a bunch of guys that left Goose Island after they were acquired by Inbev. They make great German style beers. I love their Fierce Berlinner Weisse and they just released their new Yuzu Fierce. If you had one last drink in life, what would it be? On the way to the gallows? Give me a cold 22oz Simtra! Tags: Interview, Jason Hayes, Underground Wine Merchants. Bookmark the permalink. Southern Tier, Jason, please…Southern Tier.